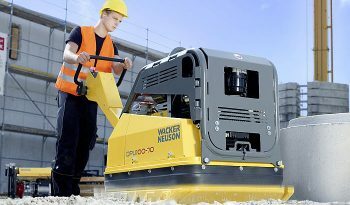 The 100 kN centrifugal force turns the DPU 100-70Les into the most powerful walk-behind vibratory plate in the market; a real powerhouse. 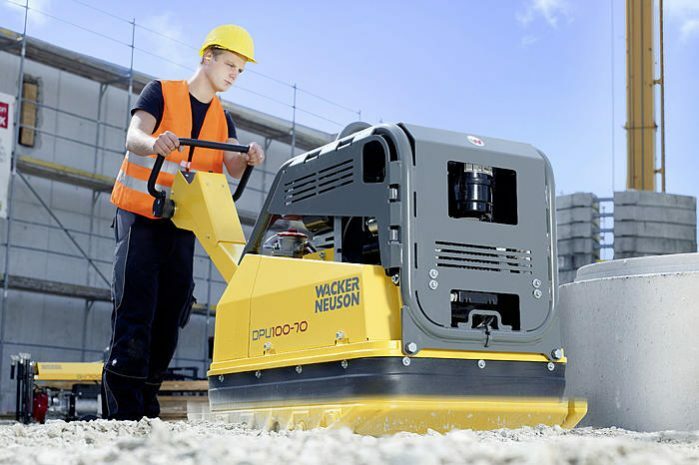 Thanks to continuously variable speed for both advance and reverse travel, the DPU 100-70Les can be operated easily and with precision even in difficult areas. 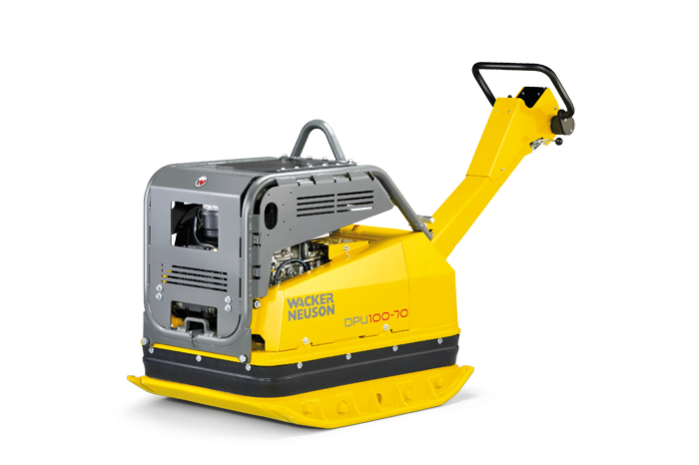 That makes it ideal for large areas with many obstacles, where exact work around the edges is a must. Finishing with a smaller device is no longer necessary. 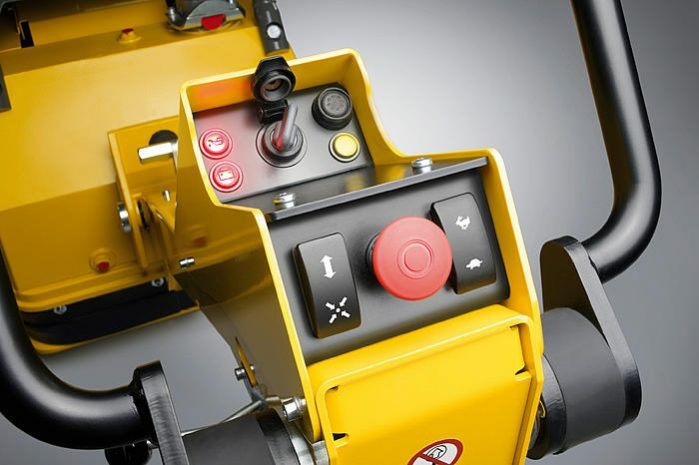 The speed of the vibratory plate can be adjusted progressively with the push a button, for instance when working around bridge piers or along curb edges. 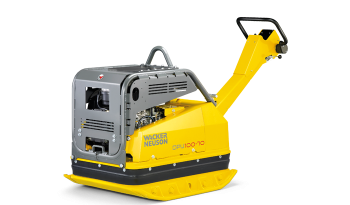 Engine / Motor type Air-cooled 2-cylinder diesel engine with electric starter as standard. 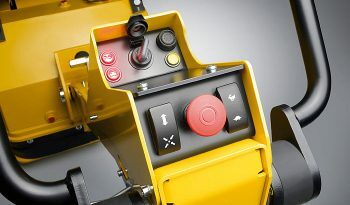 Power transmission From drive engine via gear pump and hydraulic motor to exciter.